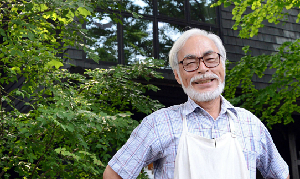 Studio Ghibli, more specifically its main director Hayao Miyazaki, has blessed our childhoods (heck－even adulthoods!) with heartwarming movies about whimsical yet relatable characters. He retired from a director of feature-length movies in 2013, but the beauty of his stories would never die. Let's take a look on a list of his great works! If you love watching stories about how the power of friendship and courage overcoming evil, Kaze no Tani no Nausica is an excellent movie for you. 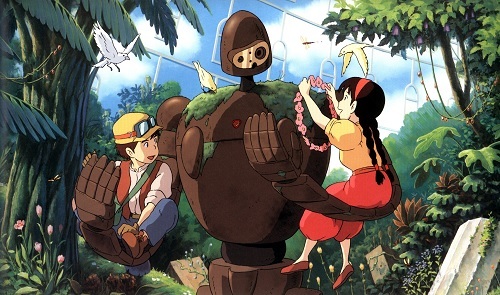 This is one of Studio Ghibli's oldest works (actually technically, it was created before Ghibli was formally established), yet it stood the test of time, featuring beautiful world-design and art. Another more mature work, Nausica features Princess Nausica and her struggle to reacquaint human civilization and nature. 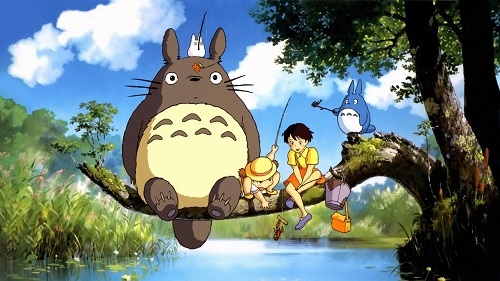 Full of adorable, charming moments, Tonari no Totoro is one of the classic Miyazaki films on this list, which features the iconic furball forest spirit, Totoro! Another family favorite, Totoro is actually about the siblings Mei and Satsuki and their parents. Don't let all that cute Totoro merchandise and fanart tell you otherwise! 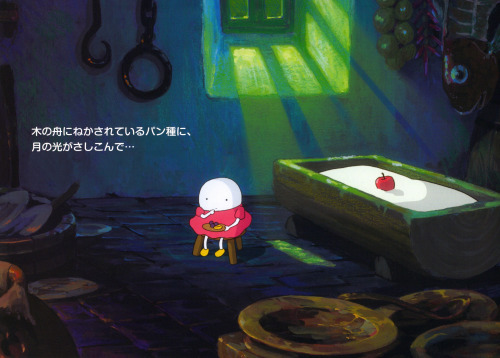 A childhood favorite, Majo no Takkyuubin is a simple, coming-of-age story that viewers can relate to. Well, except for the flying broomstick and talking cat bit. Aside from the magic, Kiki is just your average teenager working her first part time job. Through her delivery job, she discovers just how broad the world around her is. You'll love this charming, slice-of-life movie featuring an adorable witch. Kurenai no Buta is a heart-warming, funny, and action-packed film. 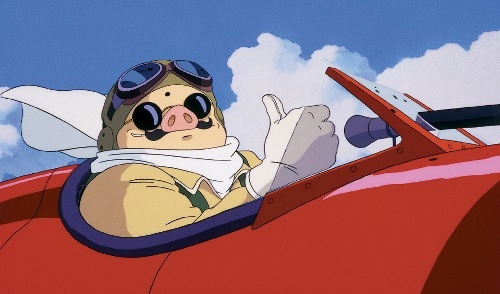 Featuring a decidedly different character than the main characters of Ponyo, Porco Rosso is about an airplane pilot who gets cursed with the appearance of a pig! More specifically, it's about the love triangle between Porco, his American rival Curtis, and the beautiful lady named Gina. 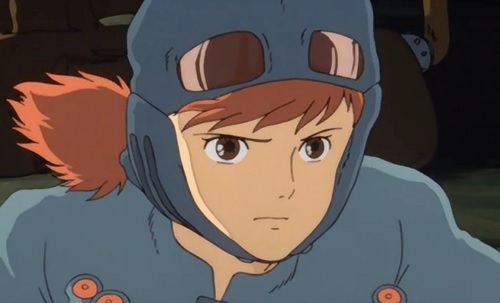 Transformations, aviation, and anti-war are themes that persist in other Ghibli movies. 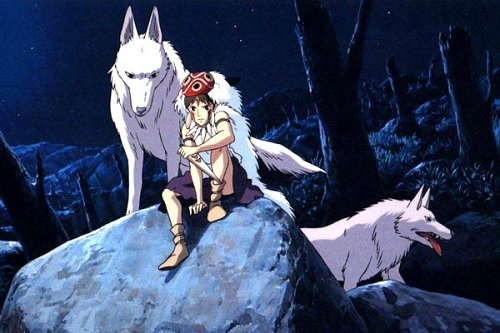 Mononoke Hime is one of Miyazaki's darker, gorier films. Raw and uncensored, this movie is great to watch if you love stories about journeys toward peace and love and acceptance. Once again, Mononoke Hime showcases the dynamic between humans and nature. We're here at the number one Miyazaki anime film: Sen to Chihiro no Kamikakushi! This movie is well-known for its stunning animation, beautiful music, and unique characters. Those who appreciate boundless imagination, adventure, and Japanese folktale references will put this film as #1 on their list, too. Chihiro is easy to identify with. As anyone knows, moving to a different place when you're little is literally the end of your world. 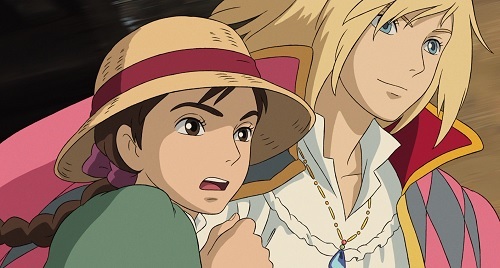 Based on Dianna Wynne Jones' book, Howl's Moving Castle, Howl no Ugoku Shiro is a timeless film that will always be one of the top Miyazaki works to date. From magical moments to Howl's bad hair days, there's never a dull moment. 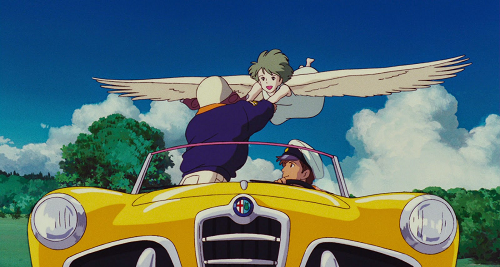 This is one of a few Ghibli works that centers around true romance. 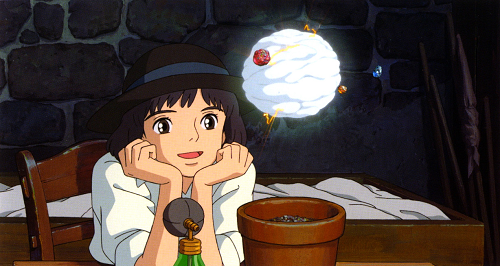 Others might be about friendship or the beginnings of love, but there is no doubt that Sophie and Howl fall into deep twoo wub. 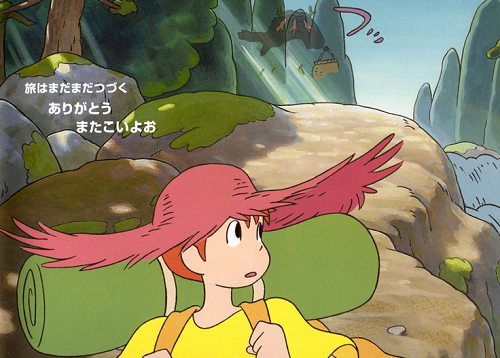 Gake no Ue no Ponyo, literally Ponyo on the Cliff by the Sea, is a charming film that follows the magical adventure of the quirky magic fish-girl Ponyo and the kind-hearted human boy Sousuke, which takes them across land and sea. If precocious children, friendship, community, and parental love give you fuzzy feelings, this is definitely the movie to watch. 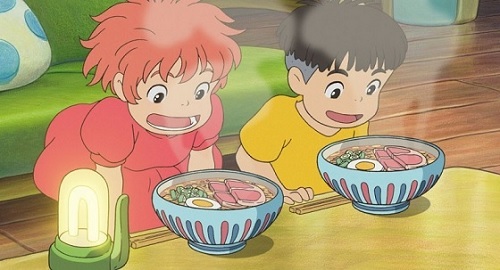 You'll be saying the famous Ponyo line "IT'S HAAAAAAM!" for days afterwards! Kaze Tachinu is an inspiring film that has a more mature edge. Didn't I tell you aviation and anti-war are common themes? Kaze Tachinu is a little different from Porco Rosso, however, as this time it focuses on the designer of an airplane. 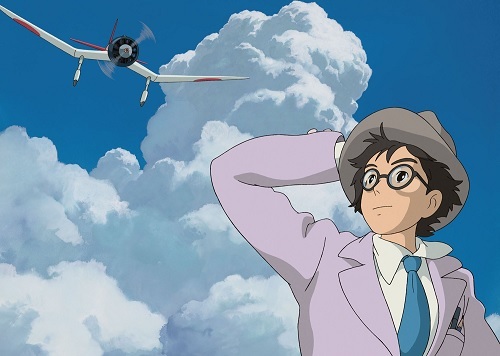 The character and his story are actually also inspired by the real life engineer who developed the Mitsubishi A5M. Twenty-seven year old careerwoman Taeko returns to her countryside hometown from Tokyo. Back where she grew up, her childhood memories resurface, and by looking to the past, she reconsiders her own future. 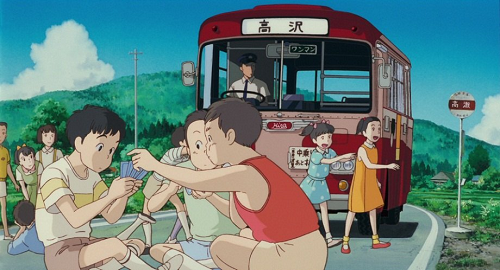 Miyazaki served as executive producer for this film directed by Isao Takahata. 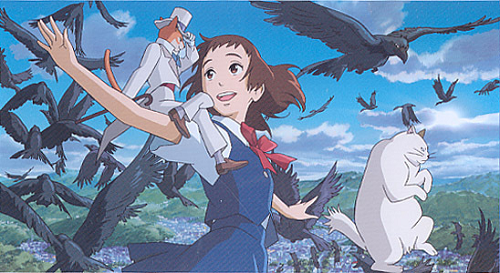 Miyazaki was again executive producer for this film. 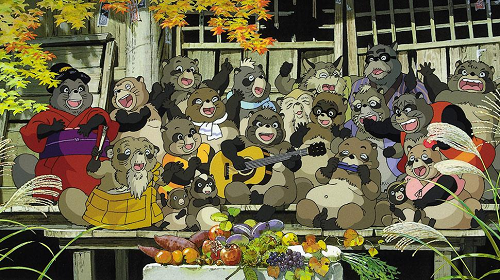 Ponpoko features a village of transforming tanuki who have to fight to keep their homeland. 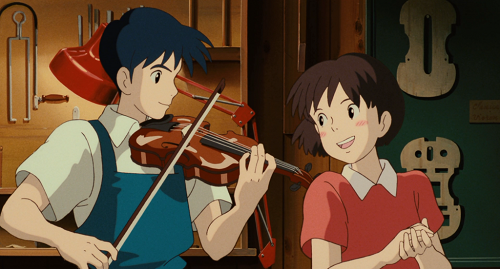 Whisper of the Heart is a gentle coming of age romance between a violin maker and aspiring writer. 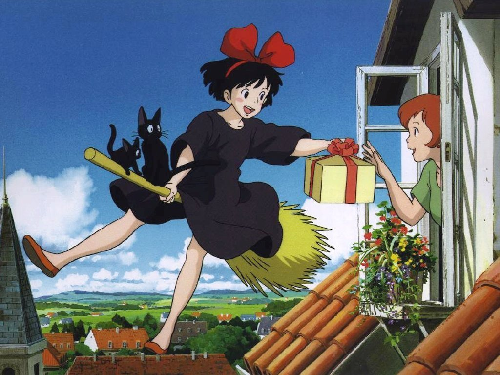 Produced by Miyazaki, this film is a spin-off of Whisper of the Heart, and features a high school girl named Haru who gets whisked off to a feline kingdom to become the bride of the Prince of Cats! 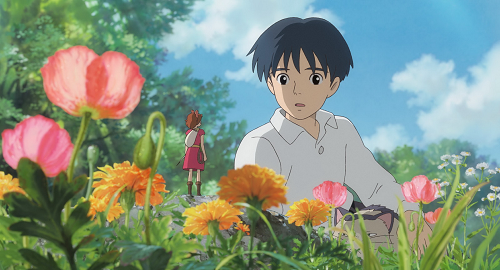 Based on the British novel The Borrowers, Karigurashi no Arrietty is about a family of tiny "Borrowers" who live in Shou's relative's home. When Shou discovers their existence, Arrietty and her family face the risk of being turned out of the house Arrietty grew up in. This film marks Hiromasa Yonebayashi's directorial debut. Umi and Shun, high school students from Yokohama, right to prevent the newspaper club's dilapidated building from being torn down. 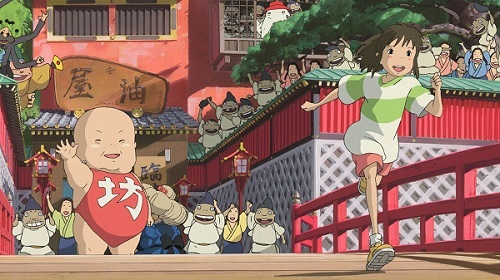 This film is directed by Gorou Miyazaki, Hayao Miyazaki's son. This short animation doubles as a music video for Chage and Aska's single "On Your Mark." The two police officers, Chage and Aska, free a beautiful mutant girl from her prison. Miyazaki's short film made for the Ghibli Museum in Mitaka, Japan. A class of schoolchildren pretend to build a boat, only to be pulled into a nautical fantasyland! Another short film Miyazaki made for the Ghibli museum, Koro's Big Day Out features a cute little puppy and his young owner. A spin-off of My Neighbor Totoro, Mei and the Kittenbus is all about the cute adventures of adorable Mei and a miniature Catbus! 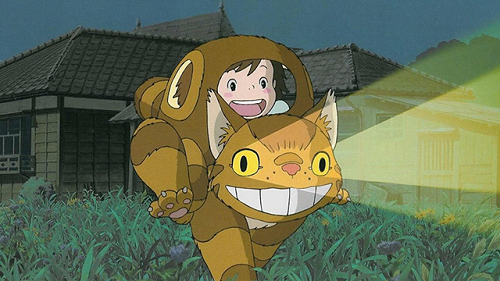 Hayao Miyazaki not only wrote and directed this short, but he also voiced Totoro and Granny Cat! 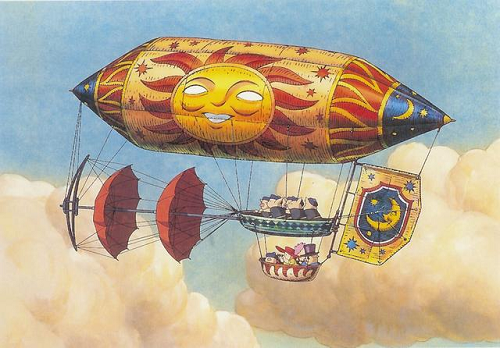 Viewable on Japan Airlines flights as well as in the Ghibli Museum, Kuusou no Sora Tobu Kikaitachi features Miyazaki himself as the narrator, showcasing various flying vehicles. Insects have never been so cute! Monmon is a diving bell spider who falls in love with a pretty water strider. One lives underwater, and one on land, but can these two bugs make their love work? Once again only viewable at the Ghibli Museum, this short film features no dialogue, opting to express the story with sound effects made with the human mouth as well as drawn sound effects and captions. 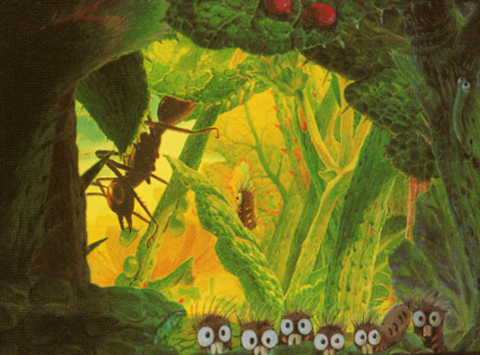 Based on a story written by the artist Naohisa Inoue, Hoshi wo Katta Hi is about a boy who receives a mysterious seed that grows into a planet! The cute little egg girl and an animated lump of dough escape from the evil clutches of the witch Baba Yaga! 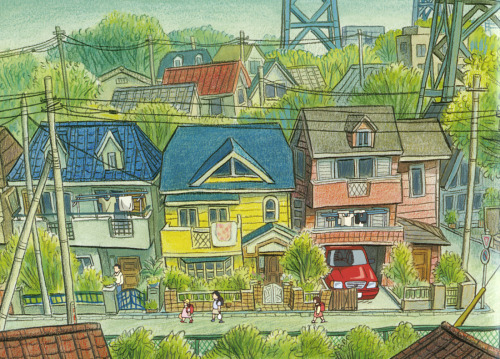 This short film is also for the Ghibli Museum. 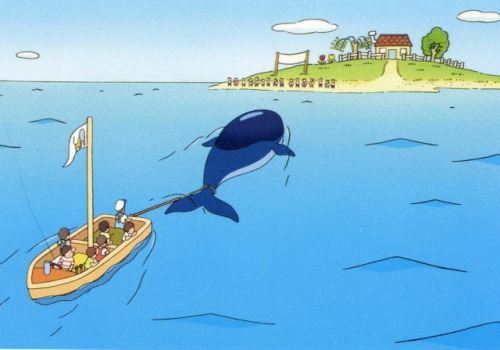 Ghibli's first all-CG anime, Miyazaki's Kemushi no Boro brought Miyazaki out of retirement. 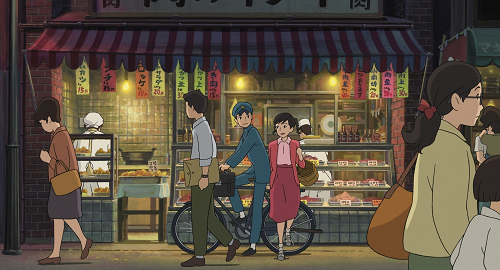 The film is slated to appear in the Ghibli Museum starting 2018. 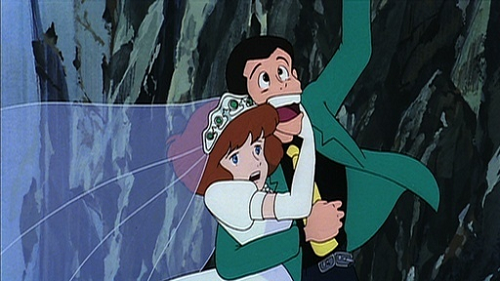 Miyazaki's first directorial work after working as an animator for several pieces, Lupin III: Castle of Cagliostro featured the beloved characters of the Lupin III franchise, although watered down a bit to make the content more suitable for children. Lupin and his cohort Daisuke embark on a mission to save a princess from the evil grasp of a corrupted Count!